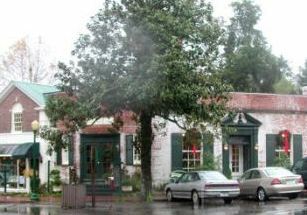 Pinehurst Village is a town that is essentially dedicated to golf. he U.S.(golf) Open Tournament is held here periodically at the famed Pinehurst #2 course (courses go to #8). Nearby towns like Southern Pines are awash in additional golf courses of every level. Payne Stuart won in Pinehurst shortly before his tragic death – a statue on the course commemorates that exciting victory. Golf Digest says Pinehurst is one of the top 3 golf destinations in the world. This town is about 12,000 in south central North Carolina, 75 miles east of Charlotte. This classic village is set in a serene and beautiful forest. 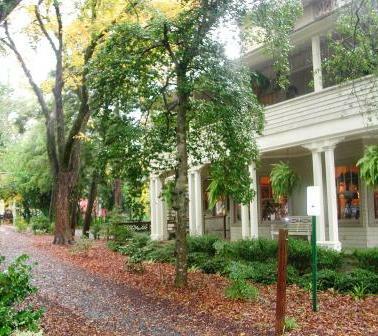 The Pinehurst Resort is located within the village. Famed landscape architect Frederick Law Olmsted assisted in the design. Then the golf followed. TThe village is self-contained with an elegant but small downtown. A number of small hotels and B & B’s offer luxurious accommodations. For an interesting perspective about golf at Pinehurst, see "It's a Golfer's World in Pinehurst, NC".